While many employers have long awaited this swing back to a more moderate (and pro-business) NLRB, the rebalancing may be put on hold again. That is because Miscimarra has announced that he will not seek reappointment to the board when his term expires on Dec. 16, 2017, resulting in a 2-2 tie between Republican-appointed and Democratic-appointed members. With Miscamarra’s retirement from the board, not only will the Republicans lose their majority, but also the NLRB will lose an important member who penned dissents in some of the Obama-era board’s most controversial decisions. Because of the potential deadlock at the NLRB, Robb’s recent confirmation becomes even more important for employers. 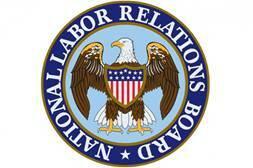 The NLRB General Counsel acts as a prosecutor with unreviewable discretion on the issuance or refusal to issue unfair labor practice charges. The General Counsel also sets NLRB policy by deciding which cases to argue before the NLRB and issuing memoranda instructing the regional offices and their lawyers on the handling of cases and issues the General Counsel chooses to pursue. As a private attorney, Robb has been critical of several of the NLRB’s Obama-era rulings, and will likely use his power to bring cases before the NLRB that could invite reversal of these decisions. The next two weeks could be particularly interesting, as the NLRB may wish to fast-track certain cases to have them decided before Miscamarra’s term ends on Dec. 16. Additionally, President Trump will likely name a replacement for Miscamarra soon to restore the Republican-majority on the NLRB. John Ring, a D.C.-based management-side labor attorney has been rumored to be President Trump’s choice, but no formal announcement has been made at this time. We will be sure to provide updates on these important matters, as they will certainly shape federal labor law during the next few years.